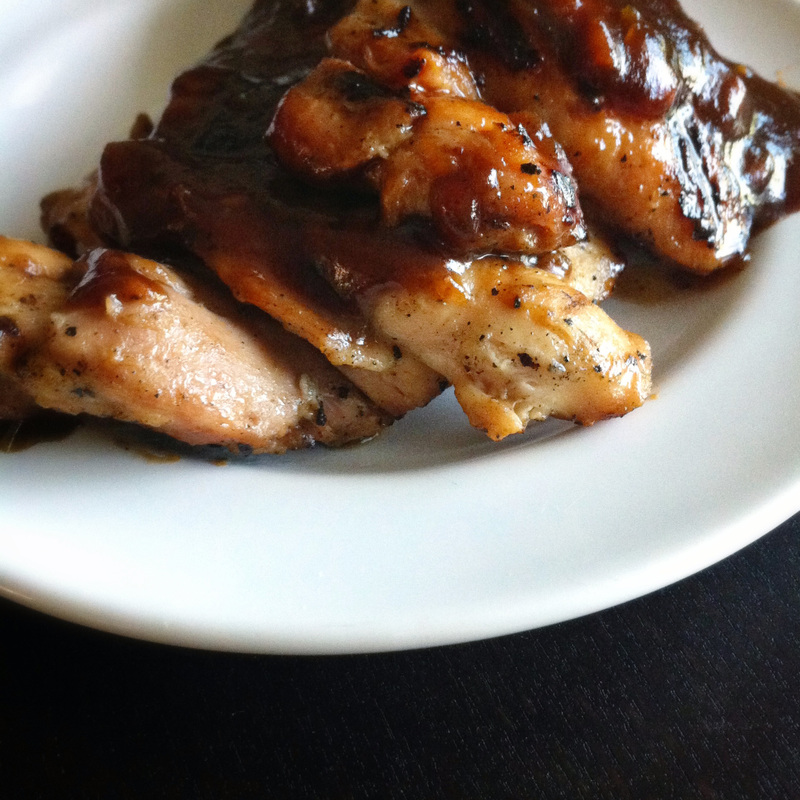 spiced apple plum bbq chicken | omfg. so good. Well, look at that. It’s Thursday again. Time for a read-one-get-one recipe extravaganza. I actually came up with this combination last week in preparation for a Sunday Foodie Friend Feeding Frenzy. Foodies run in packs. Scientific fact. And this Spiced Apple Plum BBQ Chicken did not disappoint. Another fact. Now that I’ve piqued your interest… let’s get down to business. Preheat oven to 400 degrees. Line a sheet pan with parchment paper. 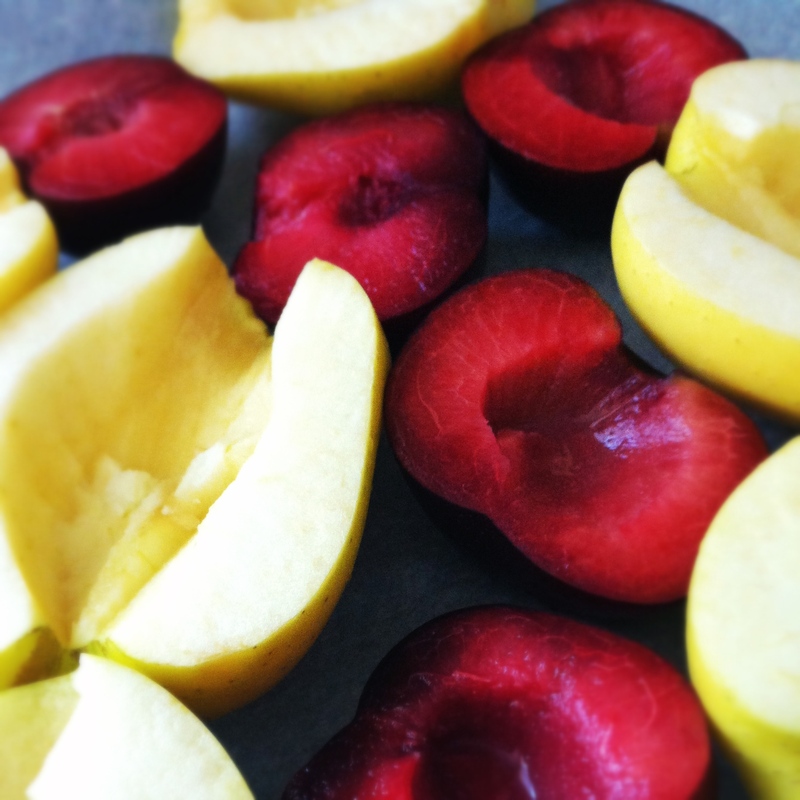 Halve and core the apples and halve and pit plums/pluots (leave skin on both) and arrange on sheet pan. Roast in the preheated oven for 45 – 50 minutes. Remove from the oven and drizzle with maple syrup. Sprinkle cinnamon and nutmeg evenly over fruit. 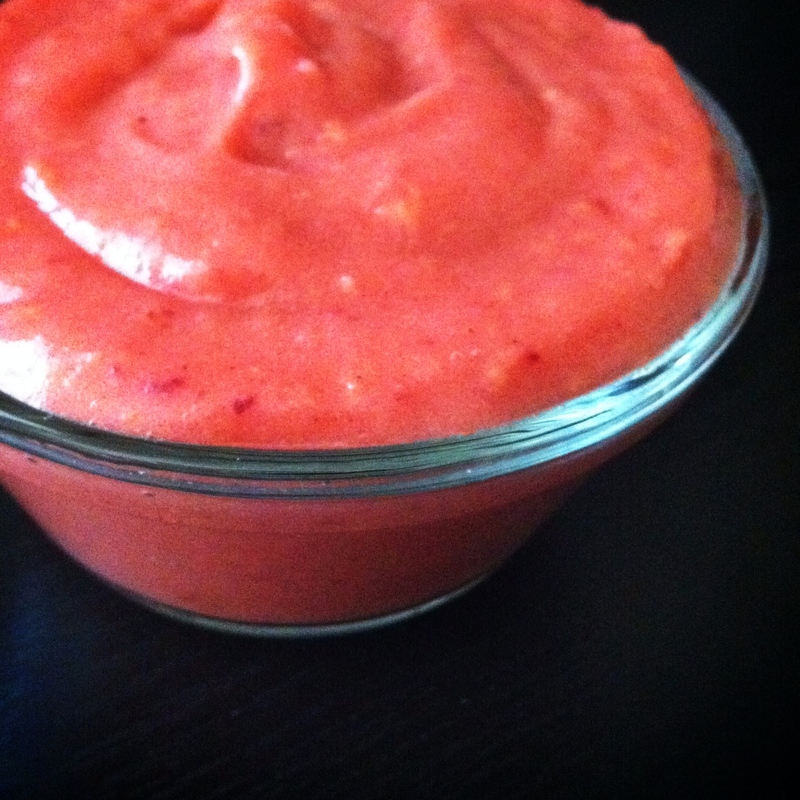 Let cool a bit then scrape everything into the blender and puree to desired consistency. Freeze in ice cube trays or covered baby food trays for future use. In a medium saucepan over medium heat, combine fruit puree, hoison, soy sauce and brown sugar. Cook over medium heat, whisking until smooth. Reduce heat to medium-low and add vinegar, garlic and ginger. Simmer over medium-low heat to reduce and thicken, around 20 minutes. Remove from heat and stir in green onion. If you don’t like your sauce to have any chunkers, you can strain at this point. We prefer a little texture… wacky artistic types. Clean the chicken of any grossness and brush with a little olive oil, sprinkle with salt & pepper. Grill chicken slowly with the lid closed, flipping only once (around 10 – 15 minutes for small thighs. Brush liberally with sauce during the last 5 minutes. The sauce has a lot of natural sugars so it will burn if you brush it on the chicken too early. Transfer chicken to plate and cover with foil to rest for 5 – 10 minutes. Serve with additional sauce. This is seriously yummy sauce. Foodie friends were happy. Charley was happy. Finley just wanted a hotdog. With ranch. Go figure.